Fresh from a three-week summer break, Movistar Yamaha MotoGP’s Valentino Rossi and Maverick Viñales are ready to commence the second half of the 2018 MotoGP World Championship at this weekend’s Monster Energy Grand Prix Ceské republiky. 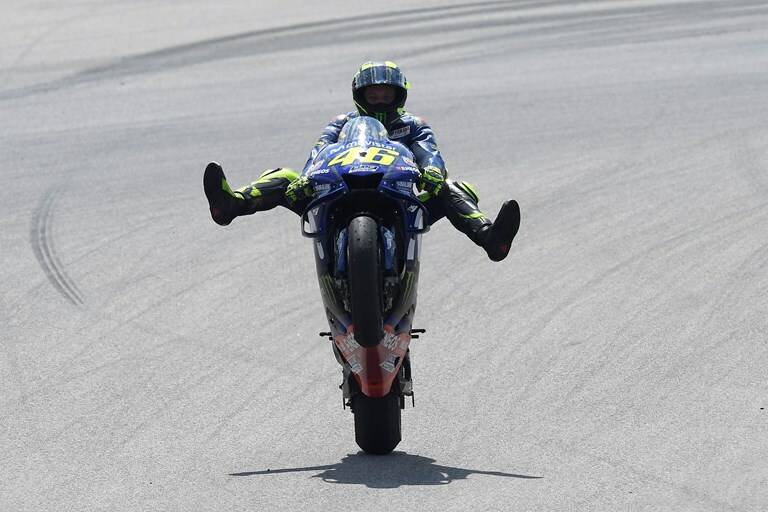 Rossi currently lies in second place in the championship standings and starts the tenth MotoGP round filled with determination to decrease the 46-point gap to first place. Having secured second place in the previous race at the Sachsenring, he is aiming for one step higher this weekend and – as he holds a stunning record at this track – the odds are in his favour. Teammate Viñales arrives in Brno with good confidence after his great third place at the Sachsenring, that earned the Yamaha Factory team a double podium. He hasn’t been sitting still over the last few weeks, as he is fully aware that the upcoming round will be crucial for him to climb up from third place in the championship standings. The first GP event in Brno was held in 1930. Racers would ride through the villages and western parts of the city on a road track, until the new circuit was built during the ’80s. The Brno track hosted its first FIM Czech Grand Prix in 1987 and became popular with both fans and riders thanks to its great atmosphere and location. The natural bowl in which the circuit is situated offers spectators an excellent view and provides changes in elevation and fast corners, testing the riders’ and engineers’ talents to the limit. Following a two weeks’ summer break, the entire Monster Yamaha Tech3 team can’t wait to hit the track again this weekend for the Monster Energy Grand Prix Ceske Republiky. Thereby, Johann Zarco aims to find back to his form of the first races this season, while Hafizh Syahrin wants to maintain the lead in the Rookie of the Year classification.